The IoT ecosystem is a fragmented web of components, networks, standards and solutions. Some of these things just weren’t designed to talk to each other easily. Customers also have a deep and wide-ranging investment in existing IT and applications where IoT would be of high value. 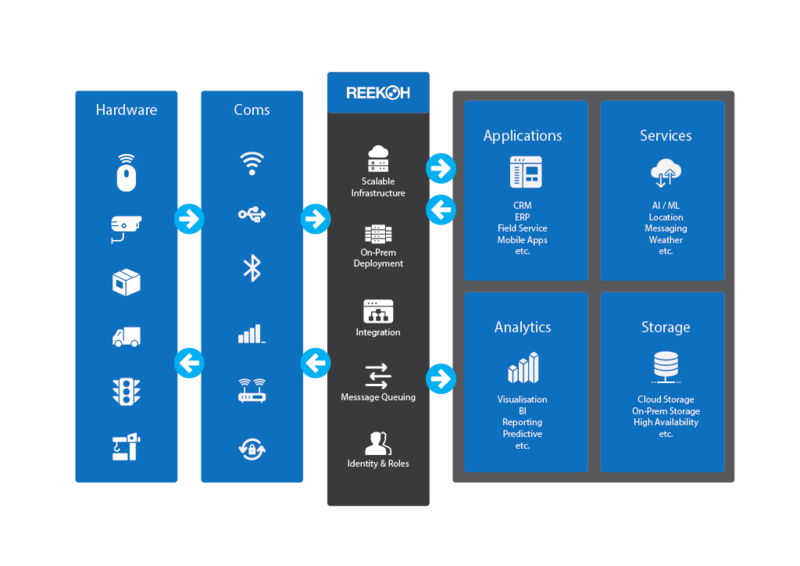 Reekoh’s IoT Fabric™ is a vendor-agnostic data management layer that provides the glue for bringing all of these things together, solving difficult data problems simply so customers can focus on the solving their business problems. The Reekoh Platform API is a full microservices architecture, delivering platform capability via a RESTful API. Access specific capabilities or build your own interfaces into core Reekoh platform features. Built with security by design, Reekoh’s security toolkit provides essential funcitonality such as device identity, secure device to cloud communications, encryption and a flexible Role Based Access Control. Reekoh is built and deployed using Kubernetes and containers, providing full platform portability, network security and massive scale. Run your platform in the Reekoh Cloud (PaaS) or deploy to your own infrastructure. Reekoh’s agile platform allows users to start by focusing on configuration of components, rather than software engineering or app development. Dig deeper into code for filtering and data conversion as needed. The Reekoh IoT Fabric™ has a modular framework for delivering areas of capability. Some of them are core to the platform, others can be used if required, but all are built using the Reekoh Platform API. These modules are focused on particular requirements for any IoT solution, and in many cases also integrate with other tools you may already be using for similar capabilities (e.g. device management). Device registry of authenticated devices. Device metadata management. Device status and last-known data delivery. Synch with other device systems of record. Secure devices with X.509 Certificates. Integrate with bring-your-own PKI vendors. Public and private marketplace of pre-built plugins. Open Plugin Framework for rapid integration development. Visual flow-based data design tool, including data conversion, filtering and more. Rapid time-series data visualisation. Broad range of chart types. Responsive design. Share Dashboards publically or privately via URL to external stakeholders. Manage users with defined and custom roles for varying levels of access to every component of the platform. 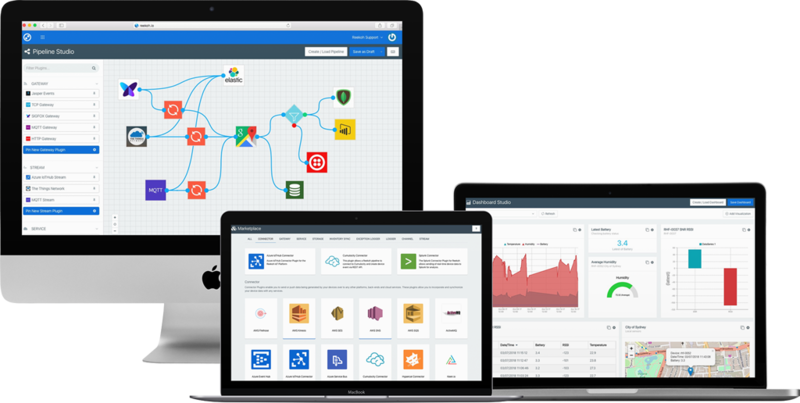 Full system logs across all part od the data workflow and user interactions with the platform. 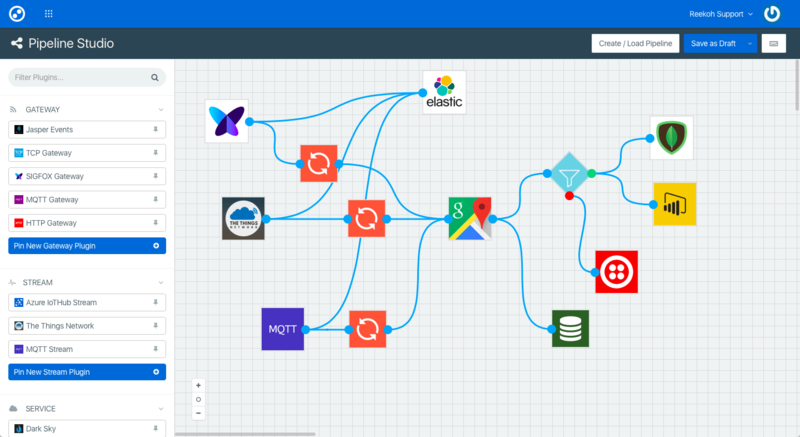 Create and store device commands to be triggered from pipelines and data workflows.